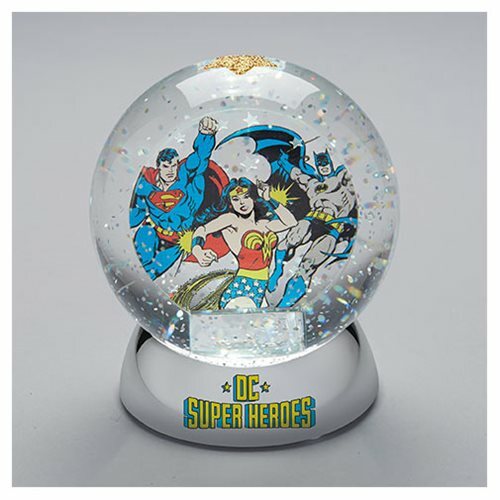 Look and you shall see DC's Trinity - Superman, Wonder Woman, and Batman - inside this amazing light-up DC Comics DC Superheroes Waterdazzler Snow Globe. Measuring about 4 1/2-inches tall x 4-inches in diameter, it's made of plastic with a liquid fill and features blinking LED lights! Requires 3x "AAA" batteries, included.